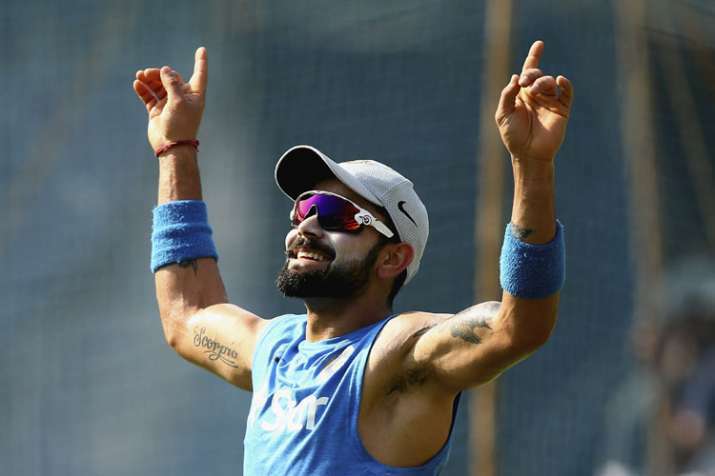 Recently, Kohli posted photos after his long training session ahead of the crucial fifth ODI against West Indies in Thiruvananthapuram. After completing 10,000 runs mark in One-Day International format, Indian skipper Virat Kohli's confidence is sky high. Recently, Kohli posted photos after his long training session ahead of the crucial fifth ODI against West Indies in Thiruvananthapuram. Kohli also posted a photo with his returning teammate Kedar Jadhav encouraging him on his comeback in the last two ODI's of the series. He wrote, “Another session done. Always a laugh with this champion around @kedarjadhavofficial Make the most of everyday." For the last two ODI's against the Windies, the selectors added all-rounder Kedar Jadhav in the squad to bring the balance in the team. After losing the third ODI, the Men in Blue were missing the perfect winning combination and the inclusion of Jadhav boosted their confidence in the fourth ODI. He scored a quickfire 16* in the last stage of Indian innings but he didn't get chance to bowl in the match. India won that match by a big margin of 224 runs. On the other hand, ‘Run Machine’ Kohli is in outstanding form as he hit three back to back centuries in the first three ODI's while, his deputy Rohit Sharma is also not far behind him. The Mumbai-born has played two match-winning knocks in the series till now. Ambati Rayudu has also given India big hopes after his blistering century in Mumbai ODI. The rest of the batsmen haven't quite had the impact they would have liked. The flamboyant Shikhar Dhawan has not capitalised on the starts while veteran Mahendra Singh Dhoni has found runs hard to come by.